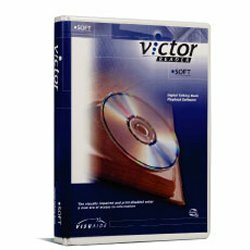 Victor Reader Soft is software for reading digital audio books. It provides features for fast navigation through a book as well as save bookmarks, text annotation and to customized options. It combines the audio and text mode to let you read the text on screen synchronized with audio and is fully accessible. Victor Reader Soft offers advanced features: browsing the table of contents, skipping from section to section or returning quickly to a page, insert bookmarks to return to a spot or mark important passages etc. Version 1.5 has been enhanced with integrated speech support, improved support for screen readers, reads both Daisy and NISO books and faster navigation with large books.